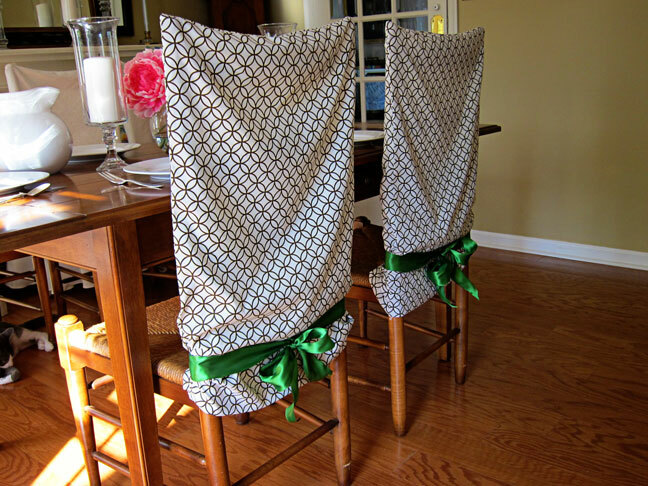 Repurpose pillowcases the next time you want to dress up plain dining room chairs. 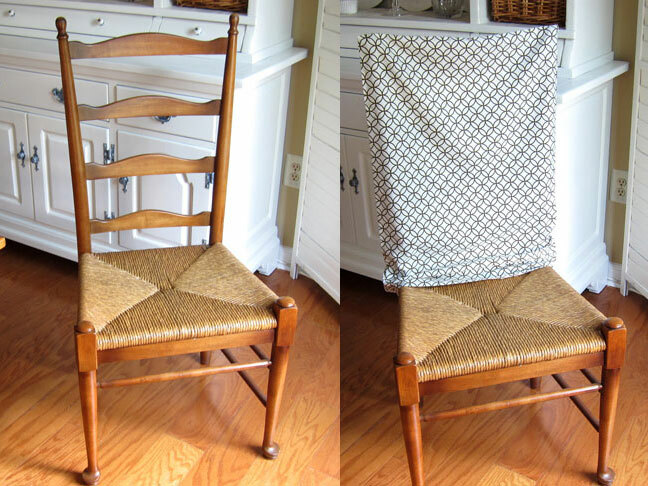 They make perfect no-sew chair back covers. 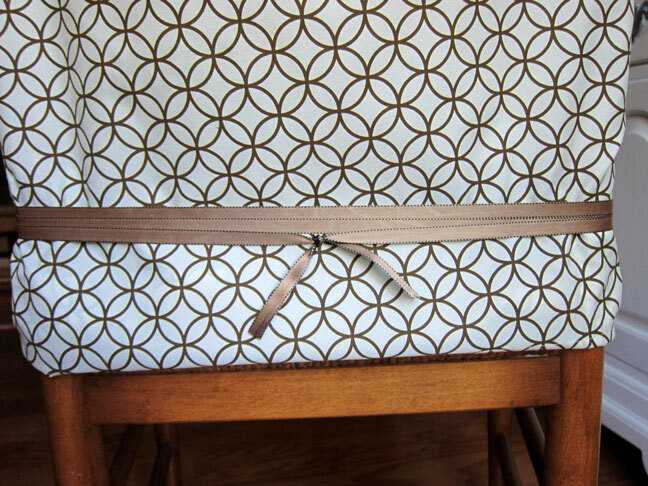 All you need to do is slip the pillowcase over the chair, leave it be, tuck the excess under, or add a ribbon embellishment to hold it into place. Instant decorating at its best!!! 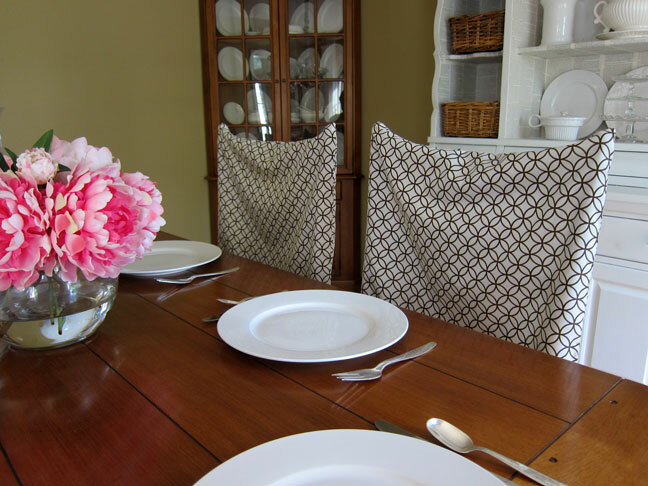 You can find all sorts of pillowcase sets at retailer's like Marshalls, Home Goods, TjMaxx, and Ross for a few dollars a pair. 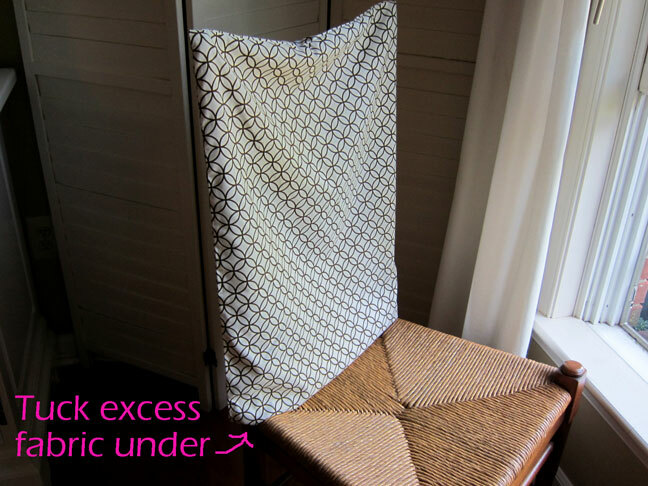 You can leave it be or tuck the excess fabric under. 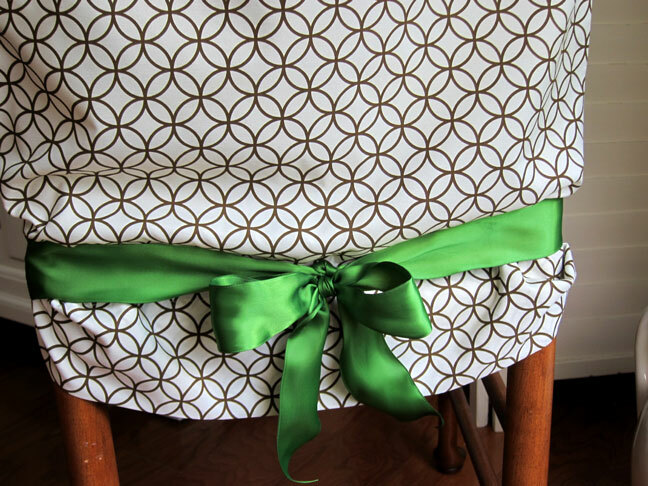 You can leave it just tucked under and enjoy your new chair back or you can wrap some pretty ribbon around the chair a few times and tie in a knot. 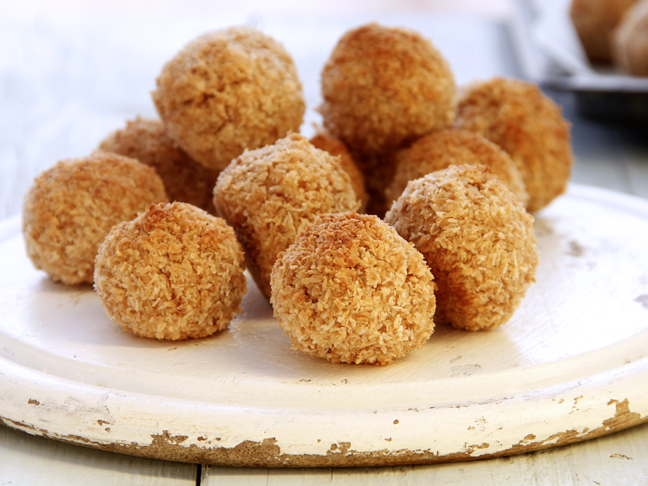 Take it one step further and add a decorative pin. 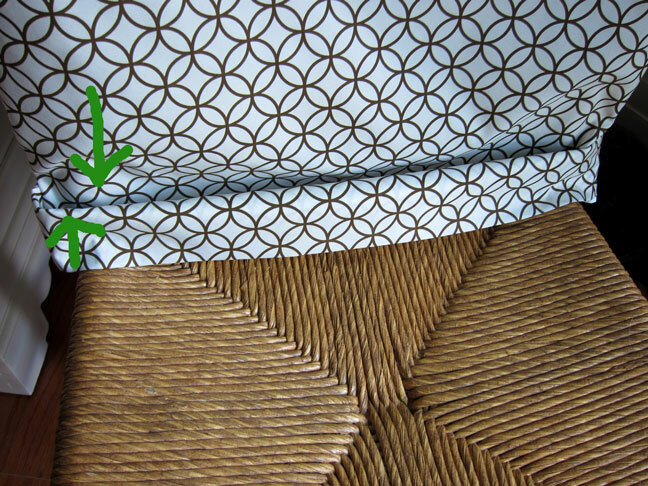 The pin also helps hold up the tucked under fabric. A Variation: This method will give you more length in the back. 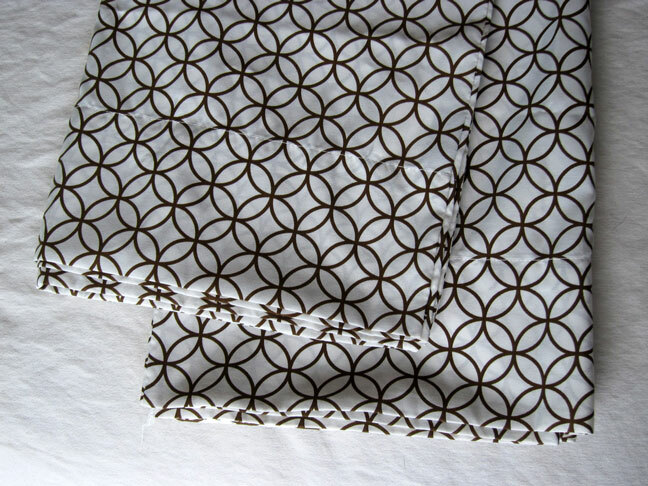 Tuck the excess down and bring the bottom section of the pillowcase up to create a neat fold along the bottom edge of the pillowcase. 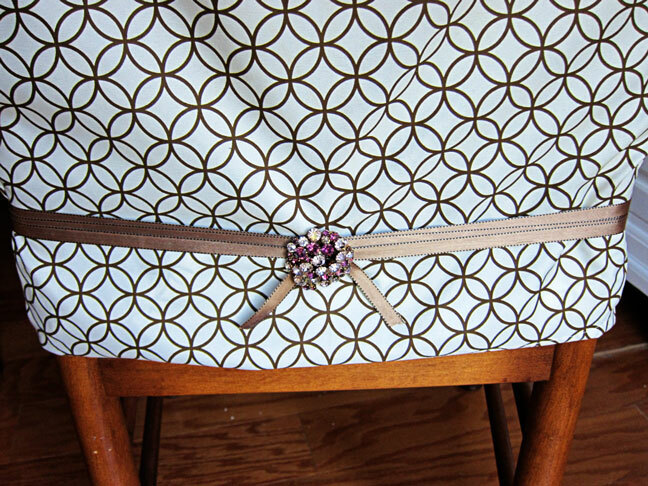 Tie a ribbon around the chair and tie into a bow on the back. 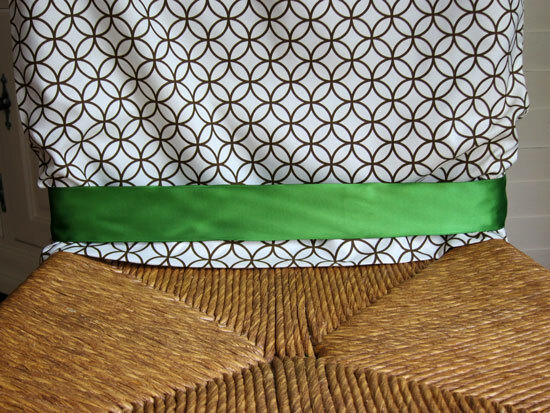 Fluff the bow and arrange the pillowcase to make sure it is even on both sides.